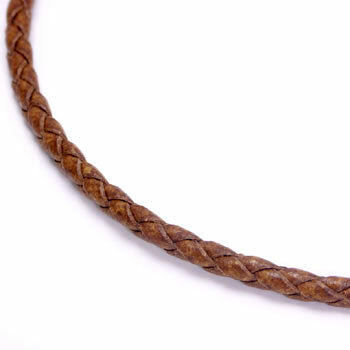 This nice looking brown braided leather cord is a great choice to look cool and hip in all parties that you go to. Although one option is to add a pendant to this necklace, you could wear it just like that and you would still look terrific. Moreover, looking good does not have to cost so much as this cord is very affordable.